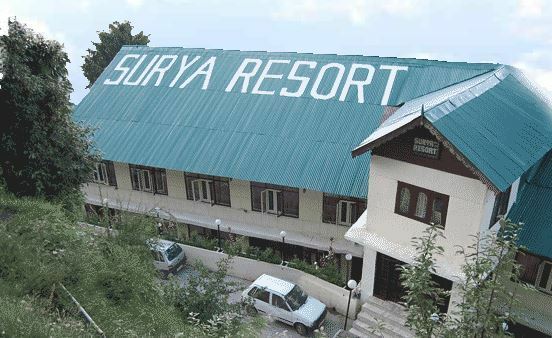 Located along the Surya Resorts Balon, Cruch Road, Hotel Surya Resort is a two star hotel offering budget standard accommodation. 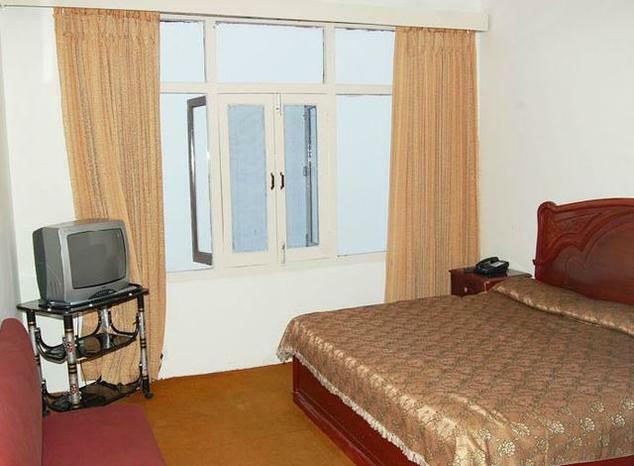 The rooms of the hotel offer a spectacular view of the valleys and resorts of Dalhousie. The Pathankot Railway station is just 81 kms away and the Kangra Airport is 106 kms away. The hotel’s restaurant is ideal for a family dinner and the guests can enjoy some delicious food while listening to some live music. The hotel is also very close to major tourist spots of the city. Other facilities of this hotel are 24 hour front desk, travel desk, free parking facility, laundry service and taxi services. The semi deluxe room is very well equipped with all modernamenities and has been furnished with complete wooden interiors. The room has a small fridge to store beverages and a color television which comes equipped with all premium channels to keep you in touch with the outer world. The room has an elegantly crafted wooden double bed which has been decorated with rich fabrics and colorful lines. Some of the other basic amenities of this premium room are a minibar, safe, color television, air conditioning and a direct dialling telephone. The hotel has a large number of deluxe rooms and each one of them is well appointed to offer a memorable stay for its resins. The room comes with a tea maker and a small bar and is completely air conditioned. The color TV in the room is an ideal source of entertainment for the guests.The room has its own private attached bathroom which has all required bathroom toiletries and also a rain shower cubical. Some of the other amenities of this room include an iron with ironing board, luggage storage, hair dryer, mini bar, tea or coffee maker, a direct dialling telephone and round the clock cold and hot water. There super deluxe rooms are the best rooms this hotel has to offer and are very spacious and emit luxury from all corners. The bedroom comes with a large king size bed which has been done in colorful linens and comfortable cushions. 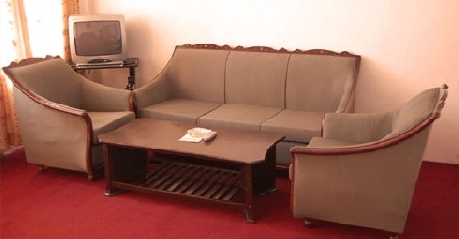 The living area is furnished with a glass top center table and a well cushioned sofa set. 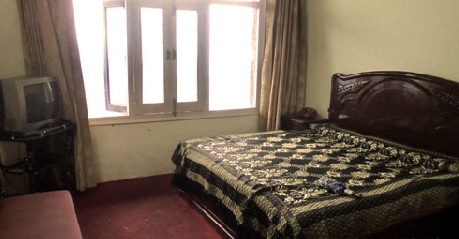 There is also a private balcony which opens up to the valleys of Dalhousie. 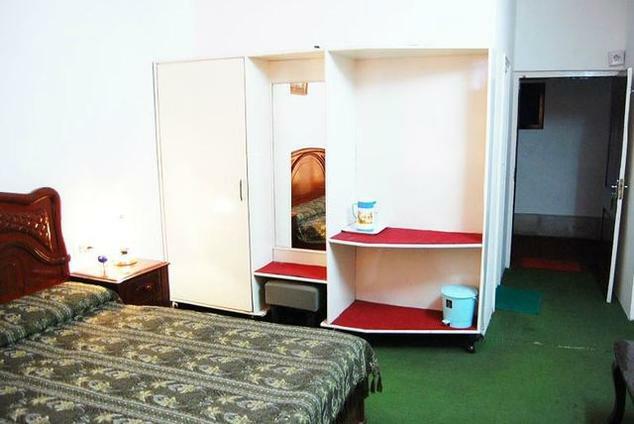 Other than these rooms also have some other amenities such as a hair dryer, an electronic safe, iron and ironing board, color TV, luggage storage, air conditioning, mini bar, a direct dialling telephone and a tea or coffee maker. The hotel has a multi cuisine restaurant located on its landscaped garden. The place serves a variety of Indian and International dishes in its elaborate menu. 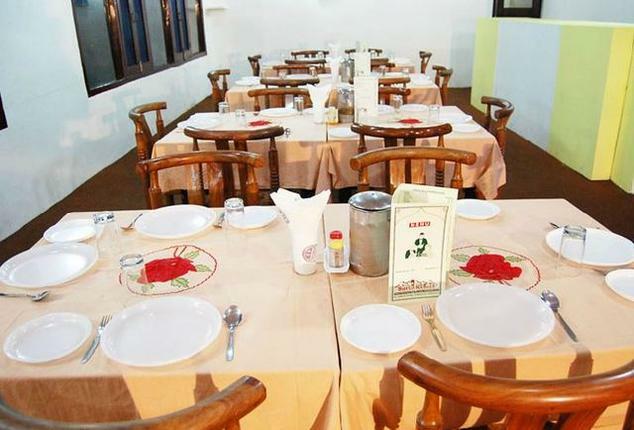 The restaurant also arranges buffet for a crowd of ten or more people.